R AHMS is a student run UNSW organisation for medical, optometry and vision science, social work, exercise physiology, psychology, medical science, public health and biomedical engineering students. They are made up of students from both city and country, as well as anyone interested in rural health. Some of the members plan to work in rural health while others are just curious. With over 1400 members across eight different disciplines, RAHMS aims to inform its members about rural and remote health issues, bring together like-minded students from multiple universities, provide positive experiences to promote rural living and working, encourage thinking about rural careers, and increase awareness about health concerns facing Indigenous Australians. to learn more about rural health issues and career pathways through a variety of events. 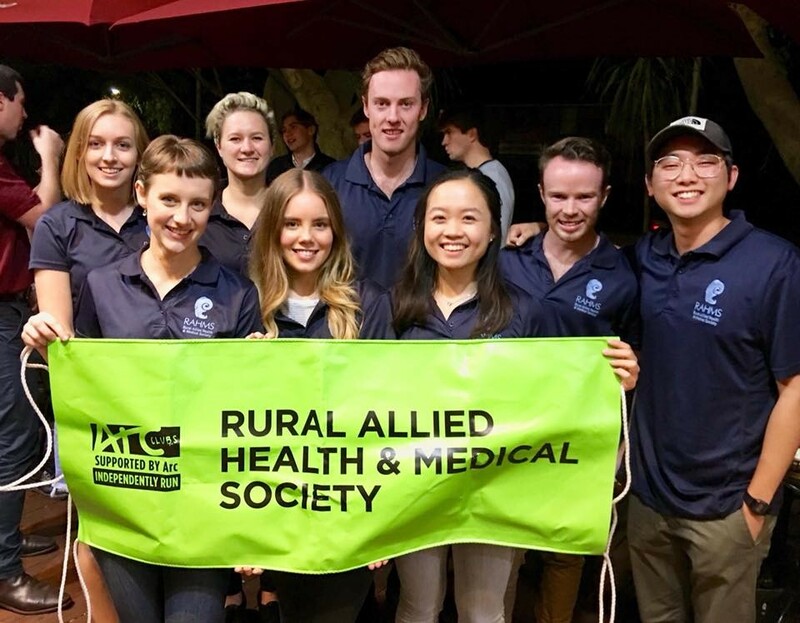 to meet health students from rural health clubs around Australia, collectively under the National Rural Health Student Network (NRHSN). The inaugural Rural Health Symposium 2018 held in October will see a collaboration between RAHMS (UNSW), Mirage (USyd) and ROUNDS (UND). to learn about studying at the UNSW Rural Clinical School campuses in Albury Wodonga, Coffs Harbour, Griffith, Port Macquarie and Wagga Wagga. to find out more about rural scholarships such as the John Flynn Placement Program, and Rural Doctor Network (RDN) Cadetships. RAHMS warmly invites you to like our Facebook page and sign up through NRHSN as an active member to keep updated about our events. Find out more at the RAHMS Facebook page.